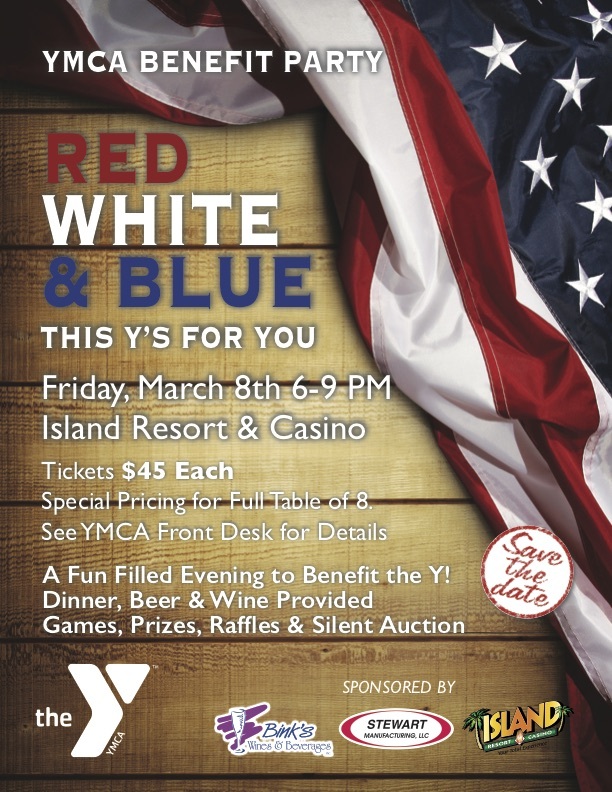 A fun filled evening to benefit the Y! Dinner, Beer and Wine Provided. Games, Prizes, Raffles and Silent Auction. Special pricing for full table of 8. See YMCA Front Desk for Details.